Partnership to provide actionable insights across industrial plants, cloud and on-premises data centers for higher productivity and innovation. ABB and Hewlett Packard Enterprise (HPE) today announced a strategic global partnership that combines ABB’s industry-leading digital offerings, ABB Ability™, with HPE’s innovative hybrid information technology (IT) solutions. The partnership will provide customers with solutions that generate actionable insights from vast amounts of industrial data to increase the efficiency and flexibility of their operations and create competitive advantage. Customers will benefit from ABB’s deep domain expertise in operations technologies (OT) and HPE’s leadership in information technologies (IT). ABB and HPE will deliver joint industry solutions that merge OT and IT to turn industrial data into insights and automatic action, combining widely-adopted cloud platforms like Microsoft Azure with IT systems running in corporate data centers and at the edge of the network. Employing the right mix of IT platforms will accelerate data processing in industrial plants and at the same time enable effective control of industrial processes across locations. With an installed base of 70 million connected devices, 70,000 digital control systems and 6,000 enterprise software solutions, ABB is a trusted leader in the industrial space, and has a four-decade-long history of creating digital solutions for customers. HPE in turn is a global leader in helping customers optimize their IT environments with secure, software-defined technologies that seamlessly integrate across traditional IT, multiple public and private clouds and the intelligent edge to drive key business outcomes. Manage and control industrial processes across the supply chain – by leveraging hybrid IT to provide a seamless experience from edge to cloud to core, making critical data available across locations. 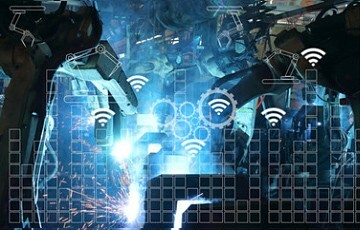 The partnership will enable ABB Ability™ solutions to run on hybrid platforms such as HPE ProLiant for Microsoft Azure Stack, enabling customers to deploy applications to their preferred location – on HPE infrastructure in industrial plants and data centers or in the Microsoft Azure public cloud – to meet the specific requirements regarding performance, security or cross-site collaboration. Data center automation – to enable data center power, cooling and building systems automatically adapt to changing IT demands or incidents. To that end, ABB and HPE will integrate ABB Ability™ Data Center Automation, which controls, monitors and optimizes mission-critical data center facilities infrastructure, with HPE OneView, HPE’s IT infrastructure automation software. Secure edge data center – specifically designed to run in harsh industrial environments, bringing enterprise-grade IT capacity closer to the point of data collection and machine control. This solution is being developed in collaboration between ABB, HPE and Rittal, the world’s largest manufacturer of IT racks, and will be an off-the-shelf ready IT data center solution for industrial customers enabling real-time insight and action. The partnership was announced today at the HPE Discover conference in Madrid, where both companies demonstrated their first jointly developed solutions and prototypes.